Sustainable, clean energy is now available to everyone in Greater Nashville. 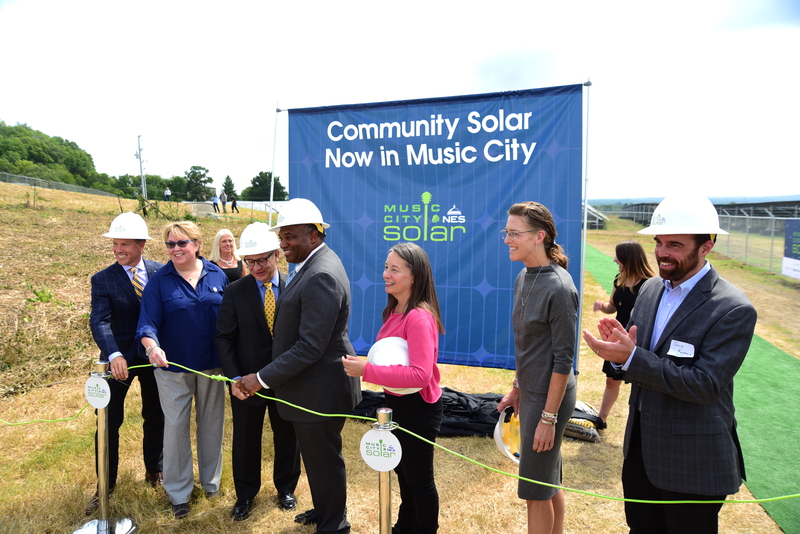 Nashville Electric Service (NES), Tennessee Valley Authority (TVA), Mayor David Briley, community leaders and project partners today announced the completion of Nashville’s first community solar park at a plug-in ceremony. Music City Solar, a two-megawatt solar array, is officially live in Madison where all 17,020 photovoltaic solar panels were energized, connecting participating NES customers to sustainable, maintenance-free solar power. Located behind TriStar Skyline Medical Center on Old Due West Avenue, Music City Solar is expected to add 55 million kilowatt-hours of clean energy to Nashville’s power grid throughout its lifetime. NES has also partnered with The Community Foundation to make Music City Solar available to all through its Solar Angel program. The program, unlike any other in the country, allows individuals and corporations to make tax-deductible donations to The Community Foundation for the purchase of solar panel subscriptions. The output from each subscription will assist low income customers for the next 20 years as a credit on their electric bills or weatherization for their homes, bringing the benefits of solar to everyone, regardless of circumstance. All of the electricity generated and metered at the community solar site will provide energy credits to participating customers, which they can use on their electric bills through 2038. Subscribing customers can monitor their panel output by logging into My Account at nespower.com. To learn more, visit gosolarmusiccity.com.